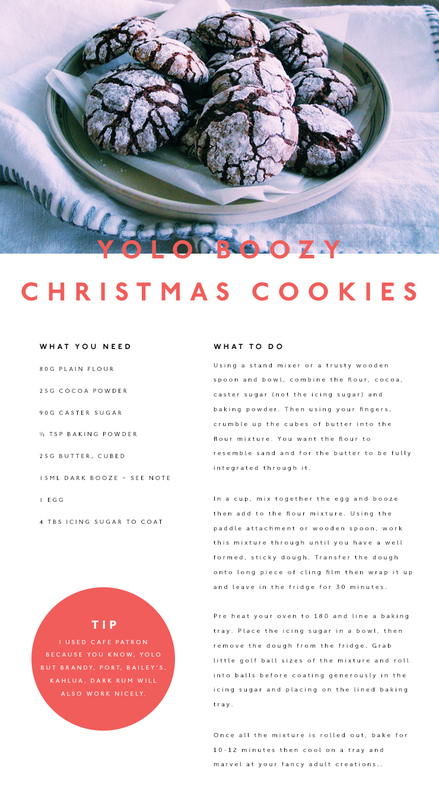 Make These Boozy Christmas Cookies For The Best Christmas Ever! Holly Anderson, aka The Wandering Matilda, is a globe-trotting kitchen wizard who is here to make all your Christmas dreams come true with these boozy Christmas cookies. Crank the Christmas tunes, whip out the Cafe Patron—because YOLO—and mix yourself up a batch of these bad boys. You could also give them away as presents, but you'll want to make a few extra for yourself too! Need something a little healthier in your life? Check out this life changing raw salted caramel dessert.